Every farmer will tell you it’s not called frost “bite” for nothing. When there is a frost and the temperature drops, reality bites! Banana crops are especially sensitive to frost damages, as the plant is tropical and it grows by nature in moderate climates. In agriculture, frost is defined as a climatic occurrence, in which the temperature of the plant tissue is under water freezing point. Frostbite causes severe damages to the banana crop, leading to loss of fruit and income. The fruit shortage has a significant impact on the banana market. As prices rise, pressure increases on producers due to import threats and the ever growing insurance costs. In fact insurance premium for banana crops in Israel has almost doubled in the last four years, following consecutive occurrences of frost. Records in Israel in the last 54 years show that on average, every 3rd year is a frost year. But the last four years demonstrated a negative sequence record of frost, assumed to be caused by global temperature changes. Global weather is becoming more extreme, with winters becoming colder and drier as the amount of clouds decreases. 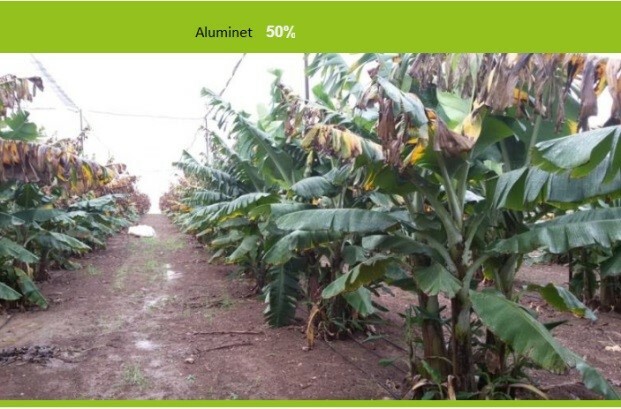 Clouds have a moderating effect on radiative frost, their loss is therefore a double blow to banana growers. Past attempts to protect banana orchards included diverse means, among which were sprinkles, wind turbines, burning fuel bricks and even helicopters. The helicopters were in fact proven to be the most efficient but were regrettably also unaffordable. Recent research results have proven that once again the solution to a complex problem is rather simple. As it turns out, banana orchids can be protected by thermal shading nets. Dr. Navot Galpaz et al*, began an observatory comparison in the winter of 2015 to test the effectiveness of Aluminet® shading nets – polyethylene nets coated with aluminum. 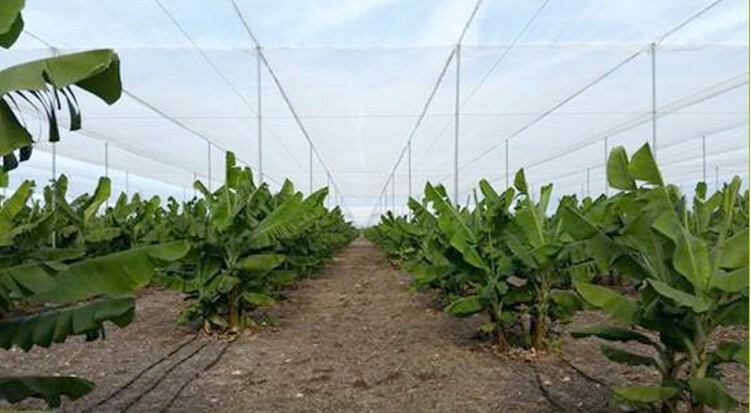 The results of the research demonstrate that the thermal shading nets prove very effective in protecting banana crops from frostbite. The aluminum coating prevents the exit of infra-red radiation, which radiates from hot objects such as water, plants and earth. This infra-red conservation allows for an increase of temperature in the structure. During radiative frost, this extra heat, becomes important. The heat and humidity of the plants and the ground inside the greenhouse structure is preserved relative to outside temperature, thus preventing damage from frost. Dr. Galpaz’s research shows that the level of shading is crucial to effective frostbite protection of crops. The more shading, the better the protection. The threshold was at 50%. Aluminet 50% shading provided sufficient protection from frostbite damages. However, under Aluminet 30%, 40% and Crystal 12% significant frost damage was observed as plant leaves dried and turned brown. At Ginegar plastics, we offer varied solutions that make the most of the thermal effect, the shading gradient or both. Aluminet accumulates the benefits of climate control and light diffusion to create a micro environment in the greenhouses and nurseries, protecting plants from cold, pests, UV, over-heating and direct sunlight. Moreover, the nets are lightweight, flexible, easily installed and provide shading control. Yields are improved with 25%-40% saving of irrigation costs. The Sun Saver thermal film product line has been designed with the thermal effect in mind. 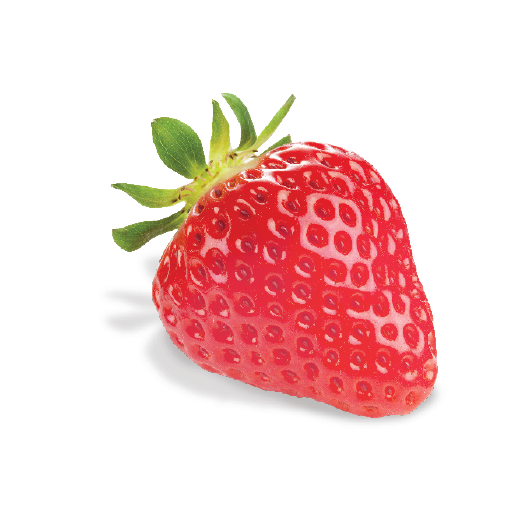 The infra-red additive added to the films preserves the long infra-red radiation within the greenhouse, conserving heat and humidity and creating a moderate a stable environment for the crops inside. Cooling of foliage is thus prevented, the very definition of frostbite never materializes and the crops remain healthy. Thermal cover films have proven to increase crop yields while contributing to heat cost savings. Bananas like it hot! With Ginegar smart cover solutions, they get just that!